Check out our Sailing Deals! Do you envy the nautical life of a seafaring sailor? You, too, can become a sailor—no mermaid tattoos or peg legs necessary! Learn how to sail in Seabrook, TX at Let’s Go Sailing sailing school. Don’t want to do the work yourself? You can enjoy a day on Clear Lake on a chartered boat. This option is perfect for special events like birthdays, anniversaries or work excursions. Call us today! Bring your team out to Let’s Go Sailing for a day they’ll never forget. You can build team relationships while having fun in the sun on Seabrook’s Clear Lake. Do you dream of open waters, blue skies, island hoping? Whether you dream of chartering sailboats in distant locations around the world, or of one day purchasing your own boat and setting sail, we can help. 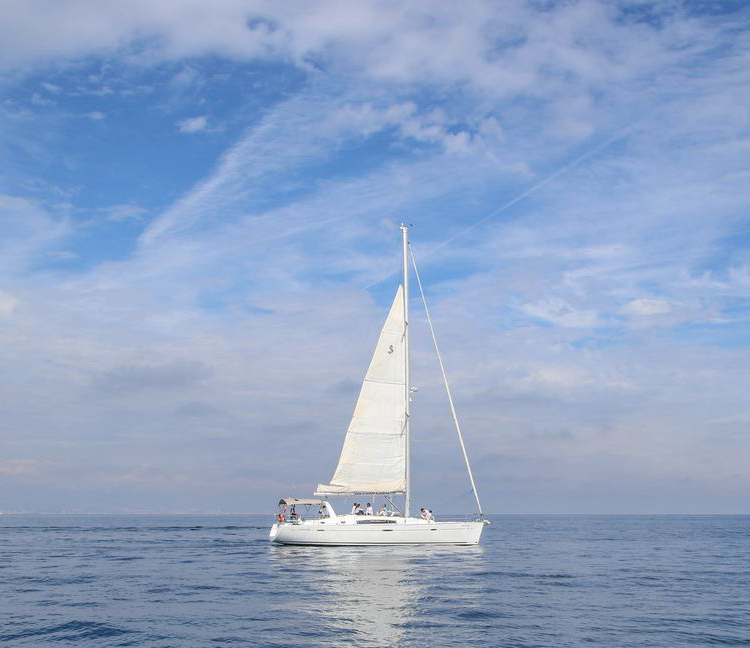 A liveaboard sailing course is the best way to learn how to sail. Spend a week living aboard, exploring numerous ports, and gain the experience, skills and ASA sailing certification needed to embark on your own sailing journey. What’s better than the feeling of wind rushing through your hair? Not much—except maybe the feeling of wind rushing through your hair as you sail across Texas’ Clear Lake! Drink in that feeling when you learn how to sail at Let’s Go Sailing sailing school in Seabrook, TX. Don’t spend those beautiful Texas days inside! Enjoy the summer on Clear Lake. Call Let’s Go Sailing for more information. Arrange a mentor, Sail with a Captain! Let’s Go Sailing offers more than just sailing lessons. You can set up mentor sails with your course, group outings, or private lessons are always an option. These options are ideal for beginning sailors who are just starting to get their sailing experience. Call Let’s Go Sailing today to ask about our rates! You’re in good hands when you learn from the certified instructors at Let’s Go Sailing. Don’t venture onto the open waters alone, only to find yourself in Davy Jones’ locker! We have six captains and dock masters on staff to assist with all of your nautical needs. Ready to give it a go? Call Let’s Go Sailing today. Ready to book a trip, charter, or class? Contact us today to get started. Want to inquire about availability or have questions about our classes? Have a quick question for us after hours? Online is a quick an easy way to stay in touch.